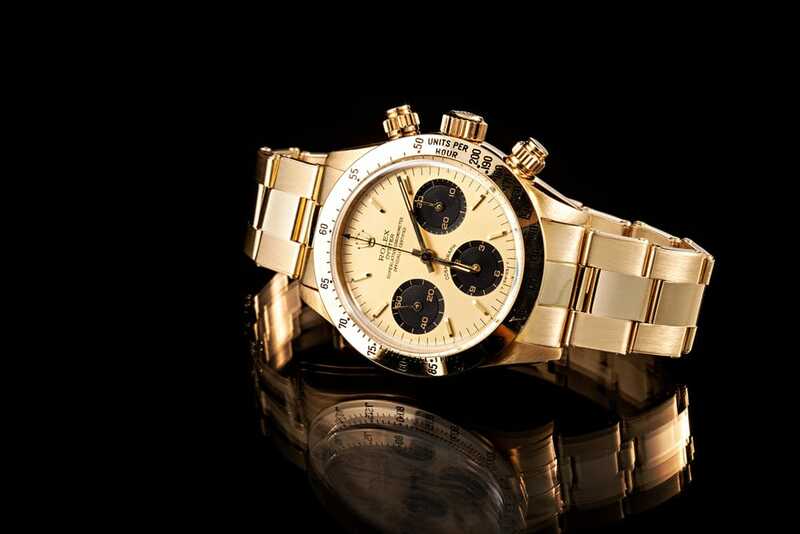 The Daytona line is one of Rolex’s most iconic set of watches. Revolutionary in its creation, the Daytona became the symbol of a true sportsman’s watch. 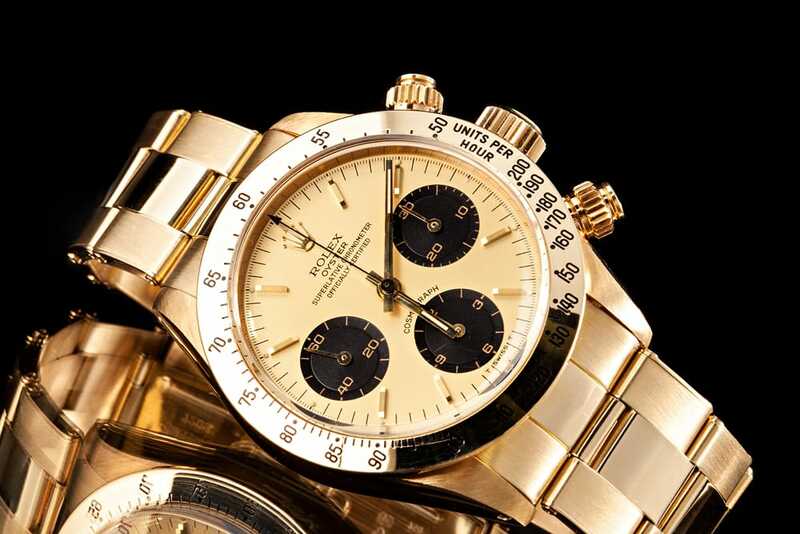 The Daytona Oyster Paul Newman ref 6265, in particular, is an extremely rare Rolex Daytona model, and a dream collector’s piece. 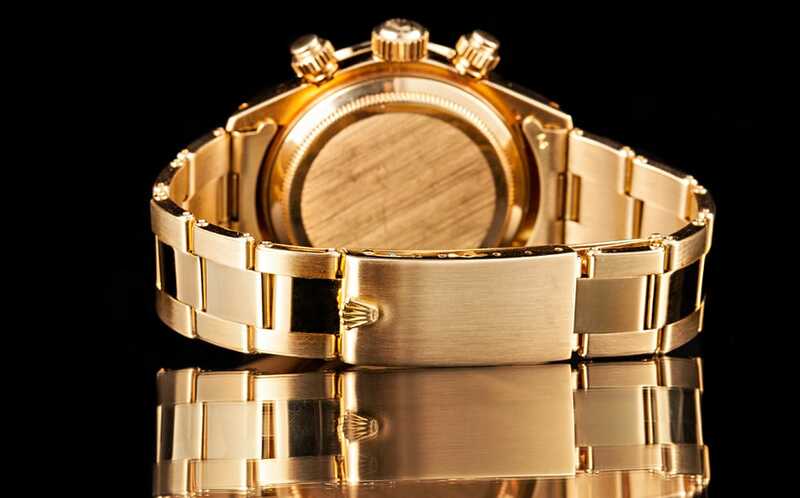 Available in both gold and stainless steel, ref. 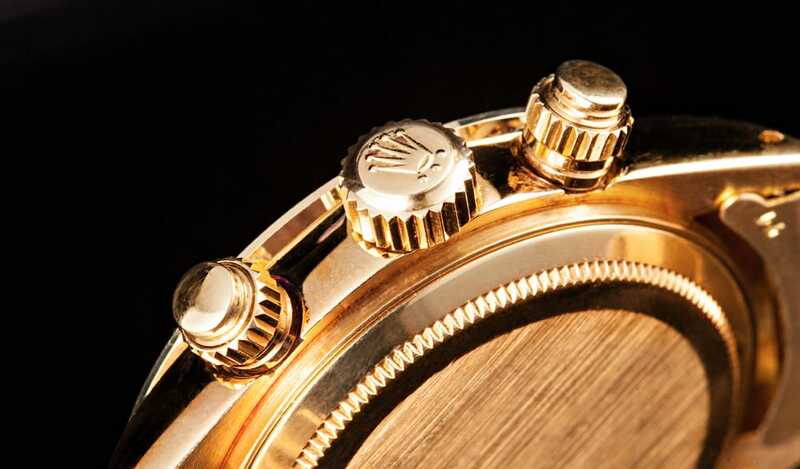 6265’s case measures about 37 mm. The case, improved for water resistance, features a screw back, large Oyster Twinlock 700 series winding crown, and two round screw down chronograph buttons in the band. 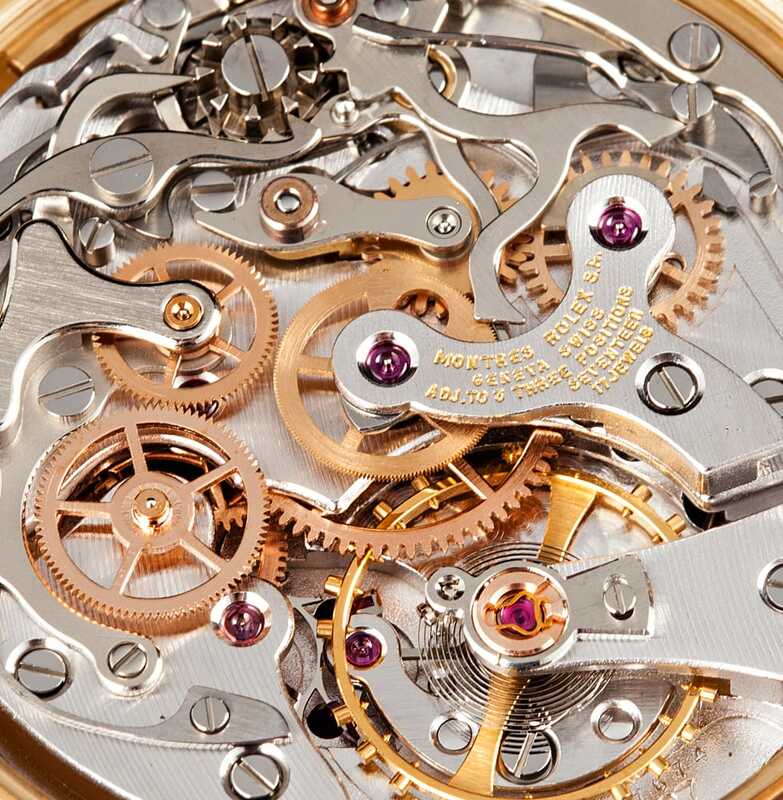 Inside, the watch features the automatic mechanical caliber 727, rhodium-plated, 17 jewels movement. 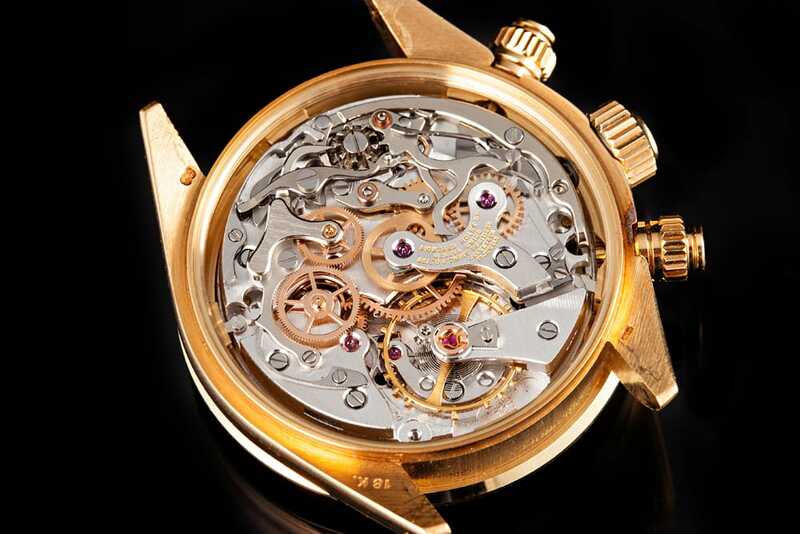 The movement also features straight-line lever escapement, monometallic balance adjusted to three positions, shock absorber, and a self-compensating Breguet balance spring. With the implementation of the screw-down push buttons and a larger winding crown, waterproofness for ref 6265 was improved from the 50 meters of previous models to 100 meters (330 ft). 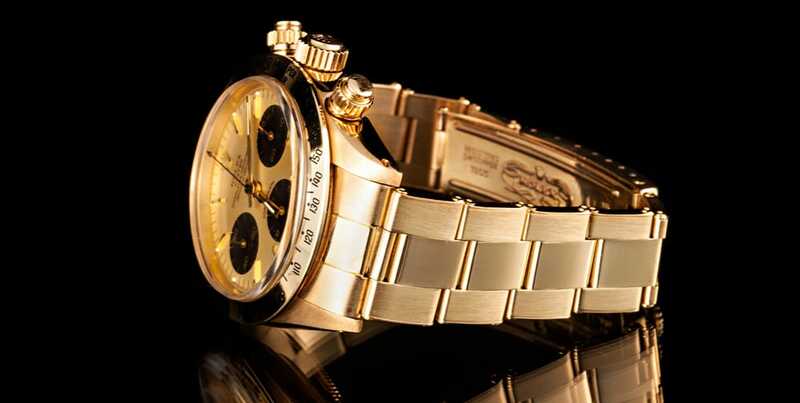 The dial is one of the most important features of the “Daytona” line. 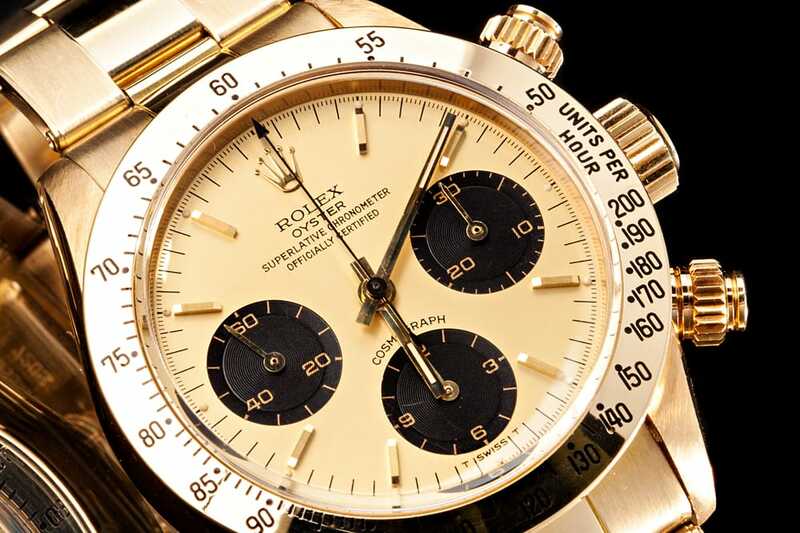 Those that possess the coveted “Paul Newman” dial are worth far more than those with the regular Daytona dial. Both dial versions feature an inverse color scheme of white and black on the dial and subsidiary dials. The Daytona signature is in red above the middle subsidiary dial. 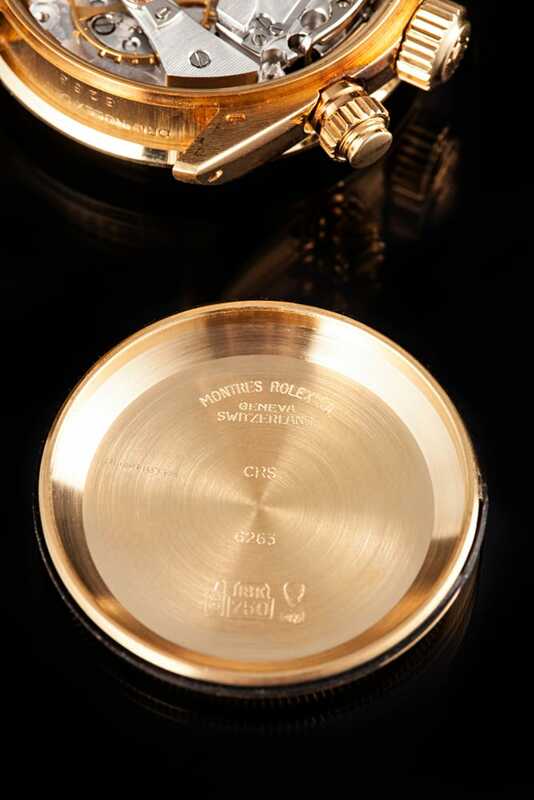 The gold model uniquely features the “Superlative Chronometer Officially Certified” signature. Square numerals with luminous accents are applied to the dial. An outer fifths of a second division appears in red on the Paul Newman dials and white on the normal dials. Three engine-turned subsidiary dials, displaying constant seconds, 30 minutes, and 12 hour registers, also appear on the lower half of the dial. The bezel of ref 6265 was also improved from earlier models. The tachymeter scale was removed from the dial, where it had been located on previous models, and moved to the calibrated metal bezel. Its larger print and contrasting white or black color, depending on the metal finish, made it far more legible on the bezel than it had been on the dial. The watch was finished off with a matching Oyster bracelet and plexiglass crystal. Until about 1980, the Dayton ref 6263 featured a domed plexiglass crystal. The watch was finished off with a matching Oyster bracelet and plexiglass crystal. Until about 1980, the Dayton ref 6263 featured a domed plexiglass crystal. From 1980 until the end of production, ref 6263 featured a standard plexiglass crystal. 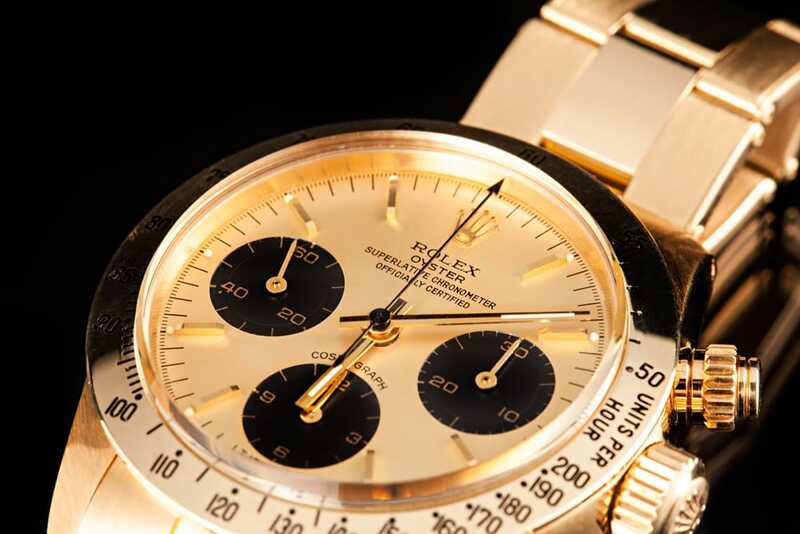 Daytona ref 6265 had a long run, and was produced in both the 1970s and 1980s. Now considered a vintage Rolex, especially those that were produced in the early part of its production run or that feature a “Paul Newman” dial, ref 6265 is a very valuable, reliable, and versatile timepiece to add to any Rolex collection.